World-renowned for its ancient civilization and its unique natural beauty, Crete is Greece’s top tourism destination attracting more than two million visitors in the space of a year. 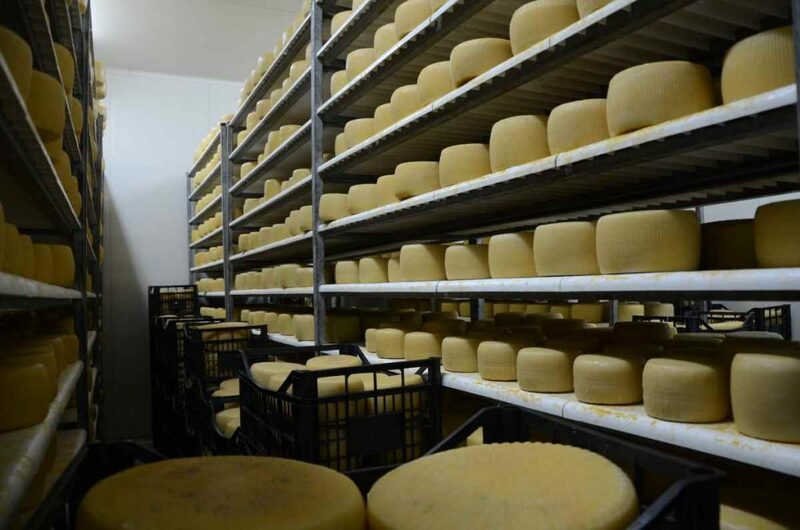 Nevertheless, Crete boasts a significant productive population involved in the primary sector, chiefly in the production of oil, in the cultivation of vineyards and wine-making, in bio-dynamic agriculture (early vegetable production), in cattle breeding and in cheese making. 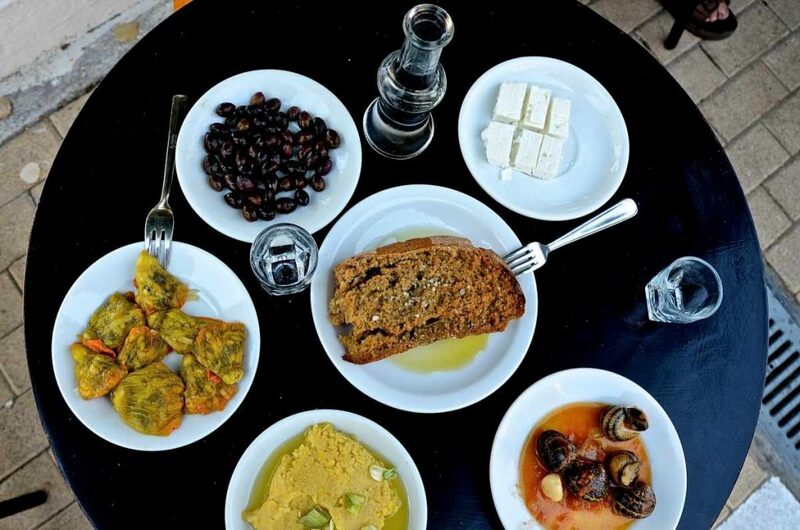 The most significant products of the Cretan land are olives and olive oil, grapes, citrus and fruits in general, wine and tsikoudia – the Cretan fire water-, dairy products, apaki (pork coated in aromatic herbs, marinated for 2-3 days in vinegar and wine before it is slowly smoked over a fire of olive and cypress branches), vinegar-tinged sausages, bread and rusks, thyme honey, stamnagathi (a wild green with a bitter and sweet flavour and an exquisite aftertaste), wild greens and vegetables, sultanas, locust beans, herbs and aromatic plants. 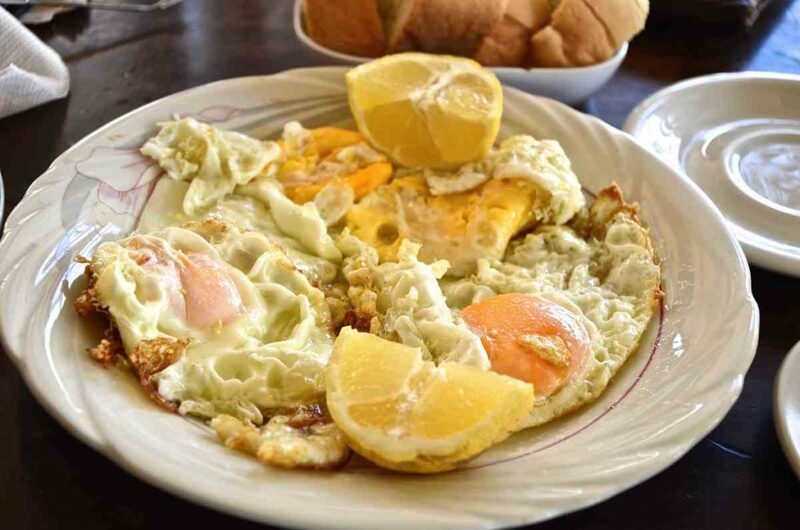 Currently, the Cretan diet is famous throughout the world. 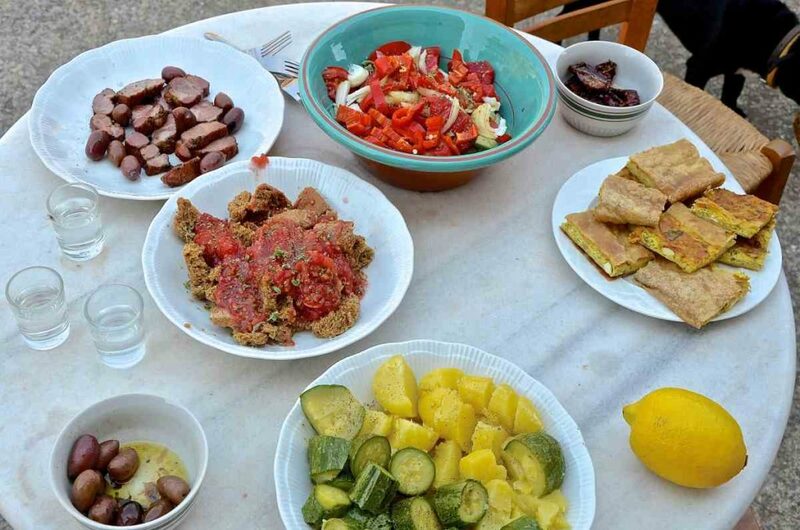 Having attracted the interest of the scientific community since 1948, when researchers from the Rockefeller Institute studied the Cretan eating habits that would later be considered as the Mediterranean Diet Model, the Cretan diet was inscribed in 2012 by Unesco as Intangible Cultural Heritage of Humanity. Indeed, olive oil is the cornerstone of the Cretan diet and the secret for the longevity of Cretan people. The Cretan land is a botanical paradise per se counting more than 1700 plant species out of which 159 endemic. Herbs, chiefly oregano, thyme, rosemary, mint, cumin and fennel are widely used in the Cretan cuisine, while Cretans are crazy about Sideritis Syriaca (the Cretan mountain tea), the Cretan dittany or erontas (love in the Cretan dialect), sage, marjoram and chamomile consumed as beverages. Serving as food for the islanders, keeping a tradition of pastoral life alive from prehistoric times till nowadays, these plants also provide the fodder for the goat and sheep grazing on the Cretan island, thus producing unique meat and exquisite dairy products. 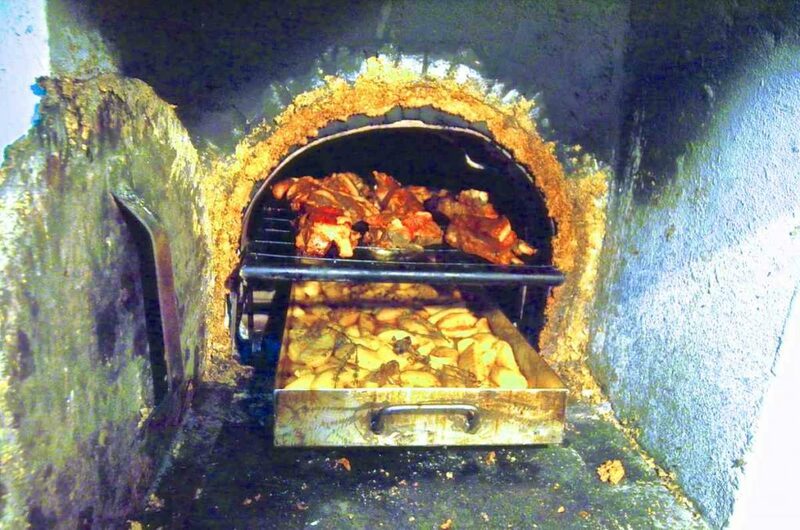 Staka gives many Cretan delicacies their truly distinctive tasty flavour. Staka is made from the crust of boiled sheep’s/goat’s milk. 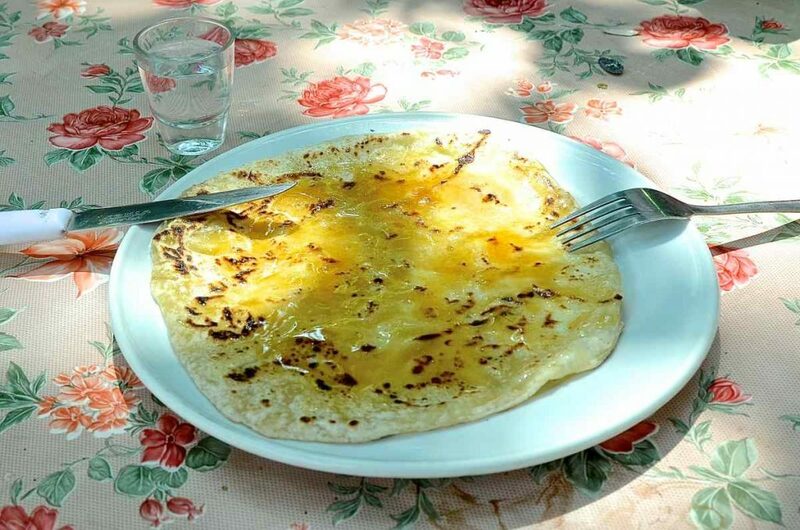 The crust, under constant stirring and through the addition of salt and flour, produces a rich cream, staka in Greek and clarified butter, stakovoutiro. 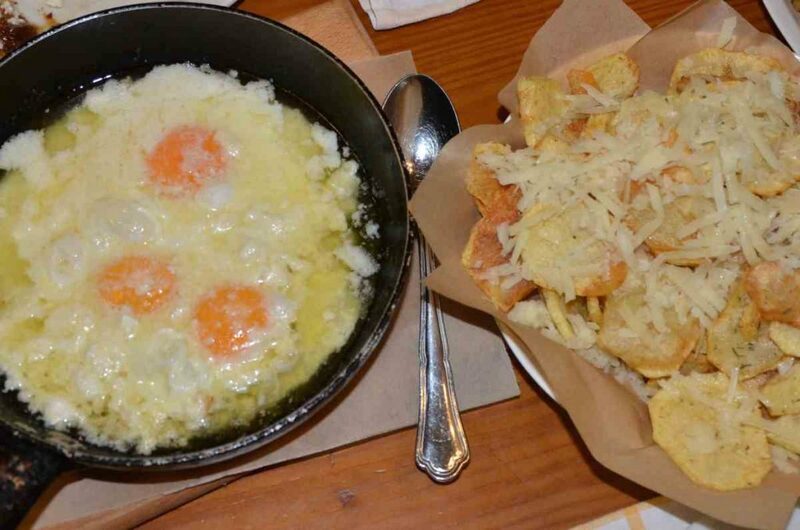 Staka is a perfect match with fried eggs, fried potatoes and many Cretan meat pies. It’s heaven to savour on its own but obviously, it is true caloric dynamite! Just a spoonful from the local clarified butter stakovoutiro with such an intense and unique smell is enough to give Cretan dishes an extra touch; the rice pilaf gamopilafo, wedding rice in English, is a truly representative example. The Cretan trahana, xynochondros, a grain product in the form of a pebble, is made from sour milk and coarsely ground wheat. The island boasts thousands of recipes. In terms of salads and vegetables, here are the most emblematic delicacies: the Cretan dakos (barley rusk, tomato, olive oil and oregano), artichokes, fresh broad beans, golden thistle and stamnagathi wild green. 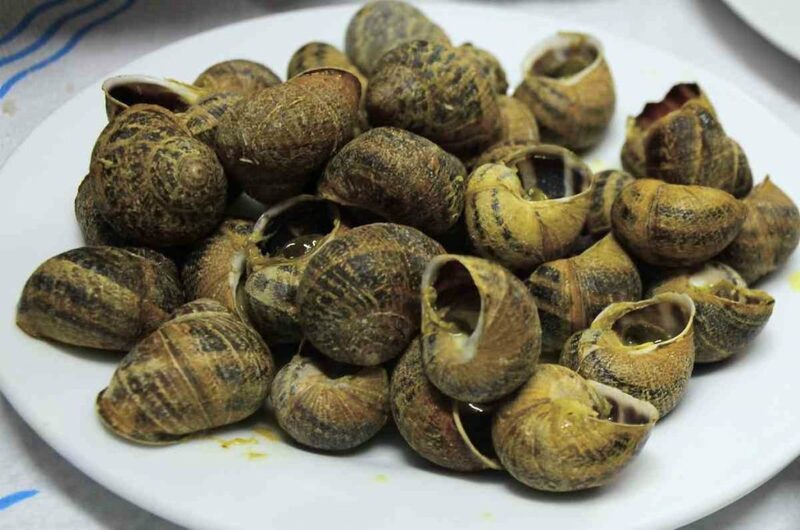 Cretans love snails and have invented countless ways of cooking them (hochlioi boubouristoi, snails in the skillet with olive oil, vinegar and rosemary, braised snails, snails with artichokes, wild greens, snails with fresh broad beans, etc.). In Crete, lamp is cooked in a special way called antikrysto (translated to facing one another); the meat is cut into four pieces pierced with a sharp piece of wood. When the wood fire is lit, the pieces are placed around the fire facing one another. You can also taste lamp in the oven, lamp stew with artichokes, lamp sautéed or fricassee with stamnagathi while boiled goat is served with macaroni or rice pilaf (the famous gamopilafo). 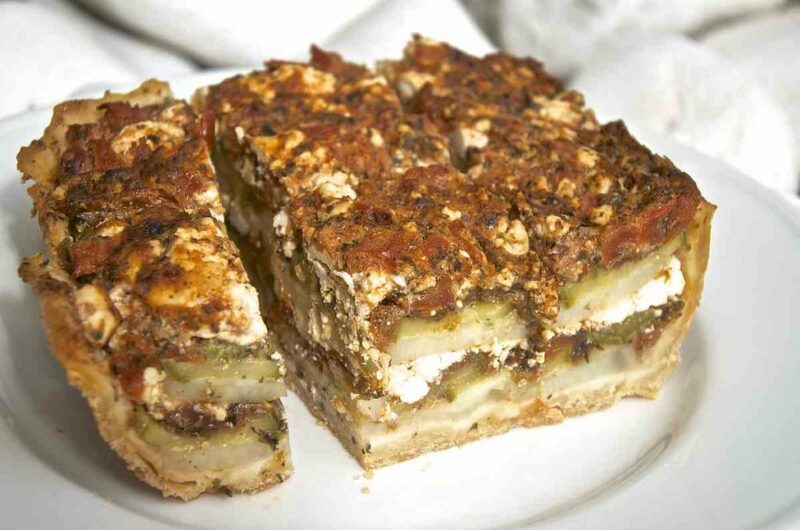 A special recipe with meat is the meat pie from Chania that is prepared with four different types of cheese, lamp and mint. 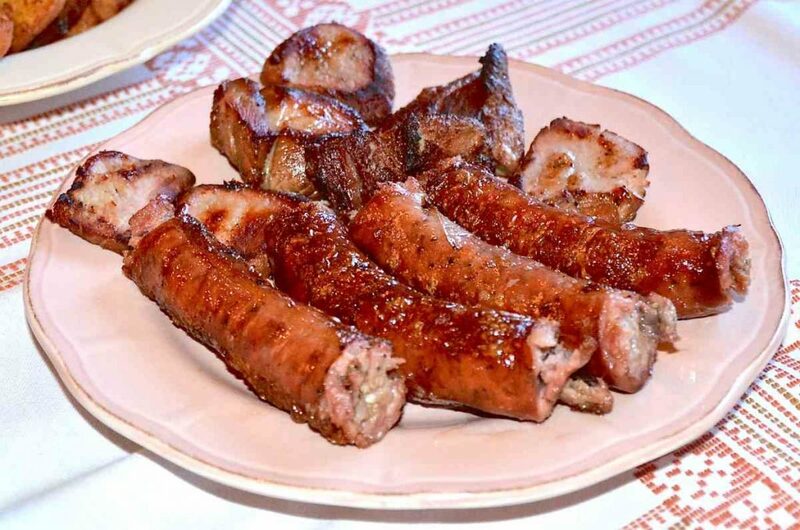 Cretan sausages (note that the sausages prepared in the region of Chania and Rethymno are vinegar-tinged ones) and apaki (smoked meat with a vinegar flavour) are two signatory products prepared by many local producers. Macaroni and pastry wise, Crete has a large variety of proposals. 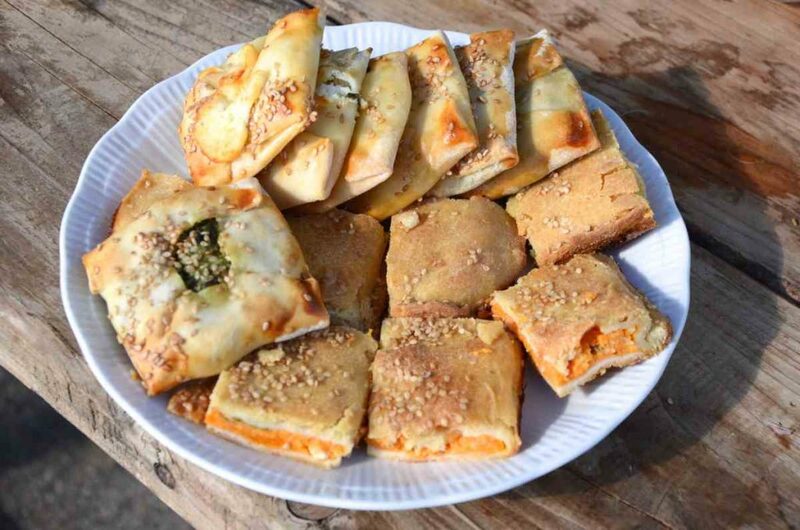 Sfakiani pita, word translated to pie from the region of Sfakia (a pie as thin as a crepe filled with Cretan myzithra and topped with thyme honey) and sweet cheese tartlets figure among the signatory Cretan pies followed by fennel pies, sarikopita (the Cretan cheese pie with sour myzithra topped with honey; the pie has a spiral shape and took its name from the sariki, the crocheted head scarf worn by Cretans), the pie from the region of Chania, bourekia (pie made with rolled paper-thin sheets of flour dough filled with zucchini and sour myzithra), kaltsounia (crispy cheese pies whose dough is pinched with the fingertips), molasses pie and the famous bougatsa (pie prepared with handmade thin, crispy thinly rolled out pastry coming in salted or sweet version). 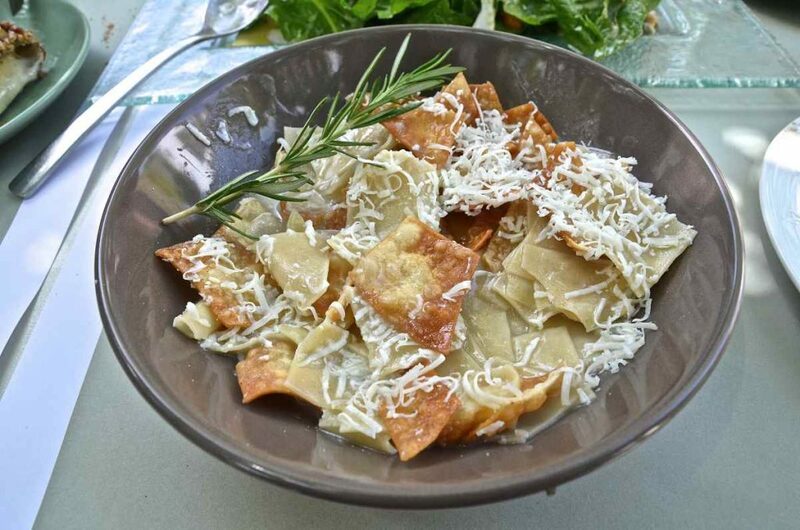 Cretans make their own pasta (such as skioufichta – fresh pasta shells whose ends are nearly pinched closed following a twisted movement made with the fingertip into the dough (note that the verb skiofizo means to twist)-, served with fried stakovoutiro and cheese-, maggiri, noodles). Finally, it seems that the people of this island do not get along that well with fish and we get the impression that they almost forget they live on an island. For instance, the grouper is cooked just like lamp … with okra!